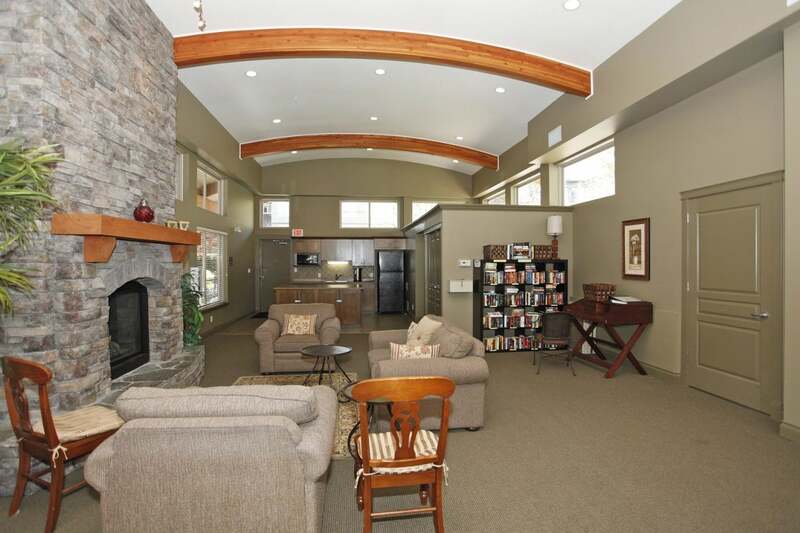 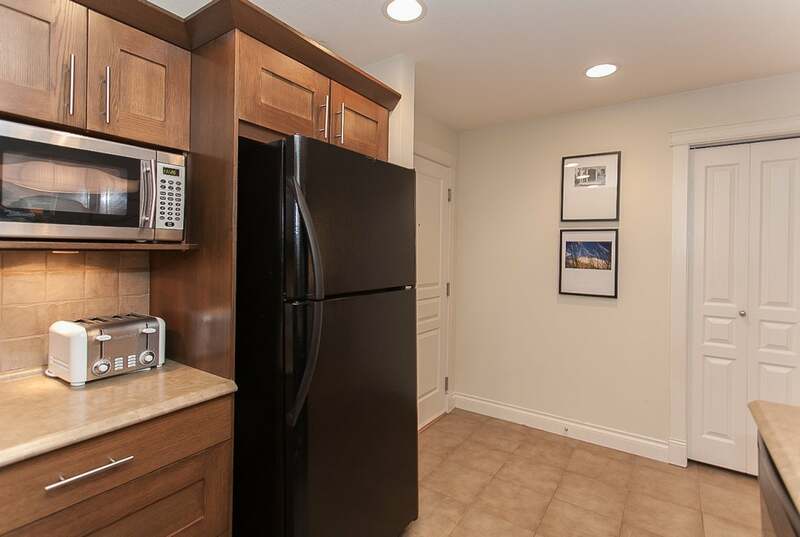 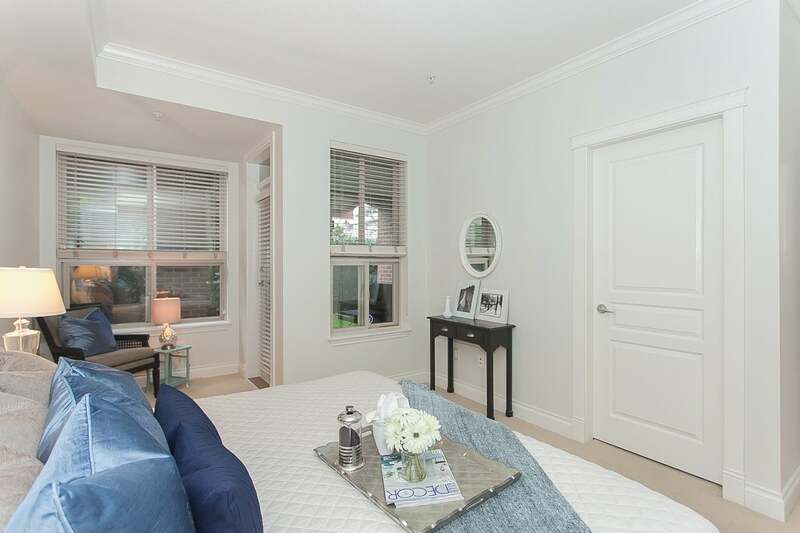 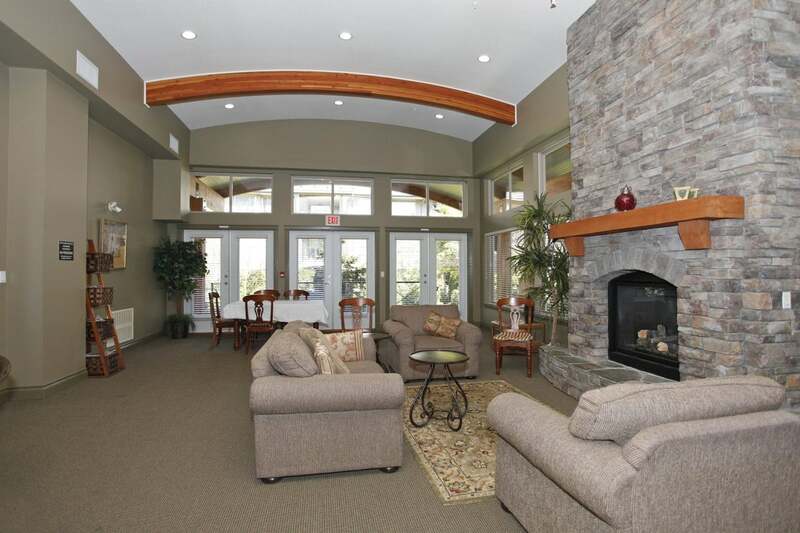 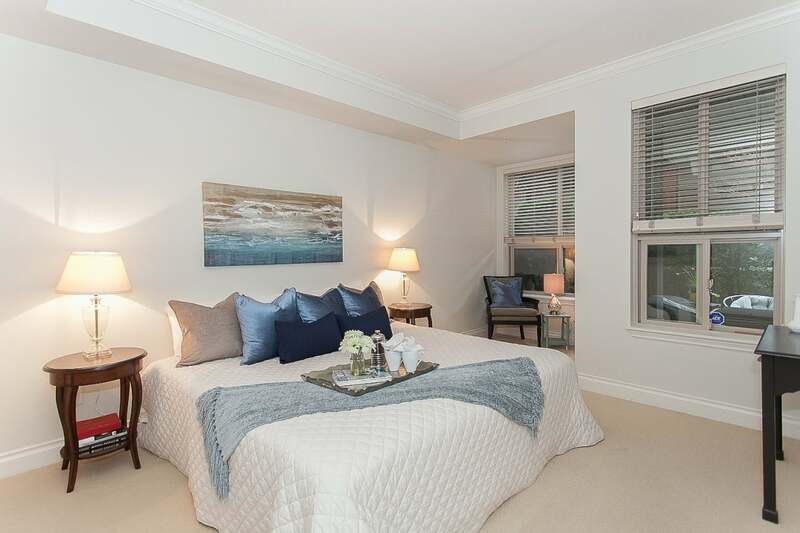 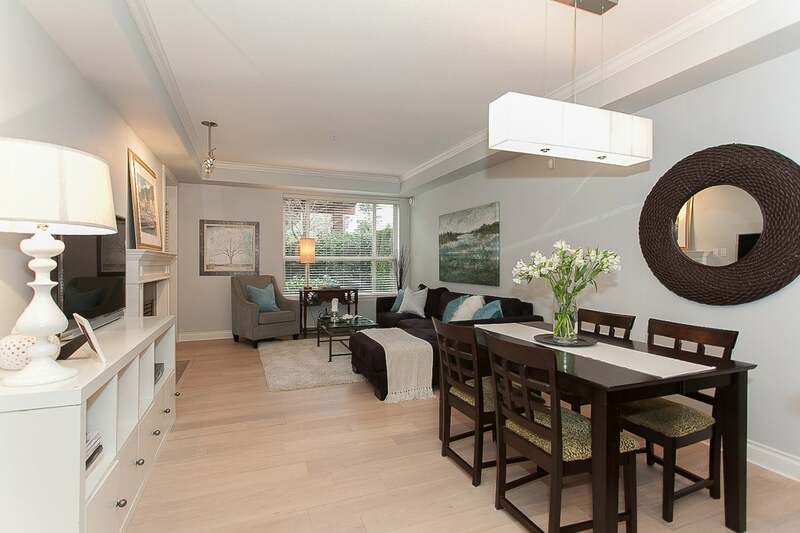 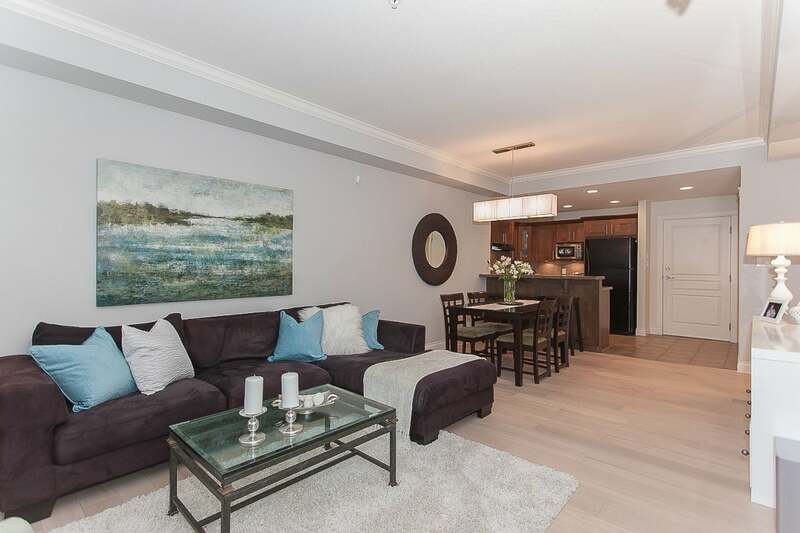 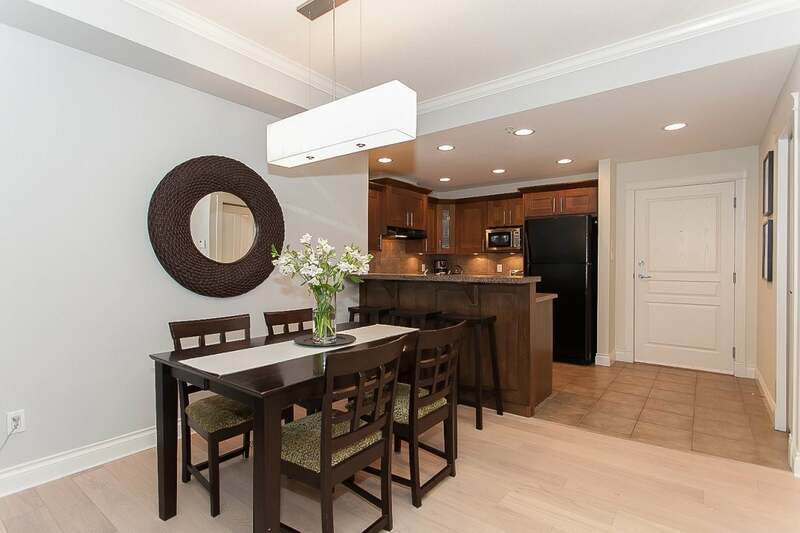 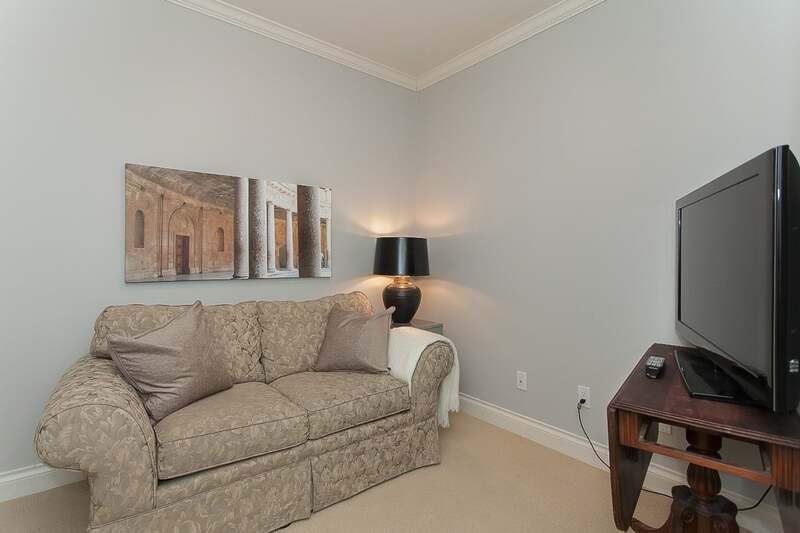 Picture perfect ground floor one bedroom and den condo in the Madison. 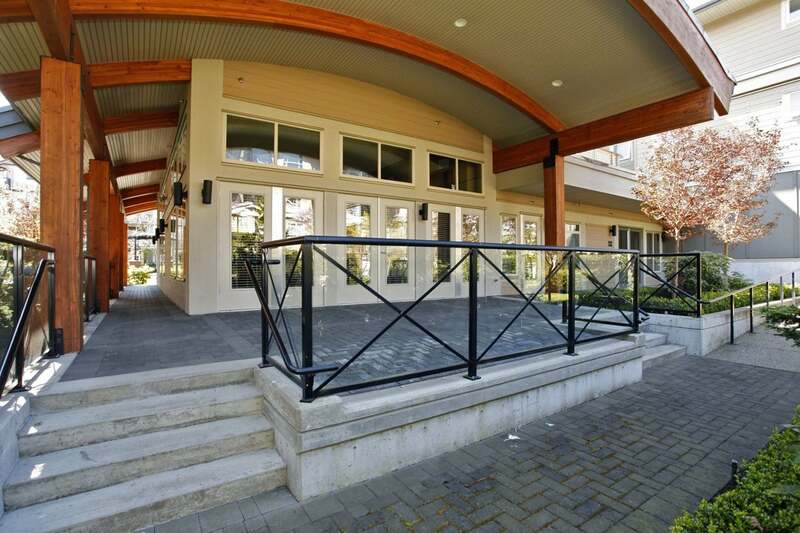 Have you been looking for an opportunity to get into the local real estate market? 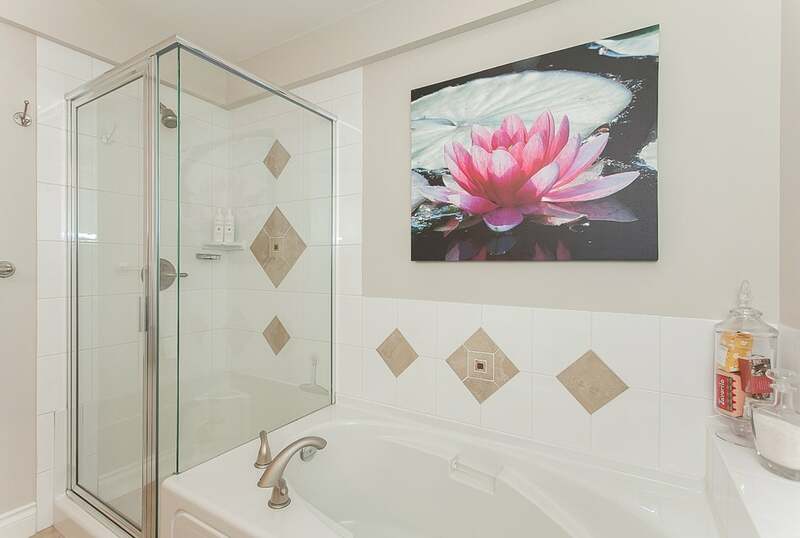 Well this is the one! 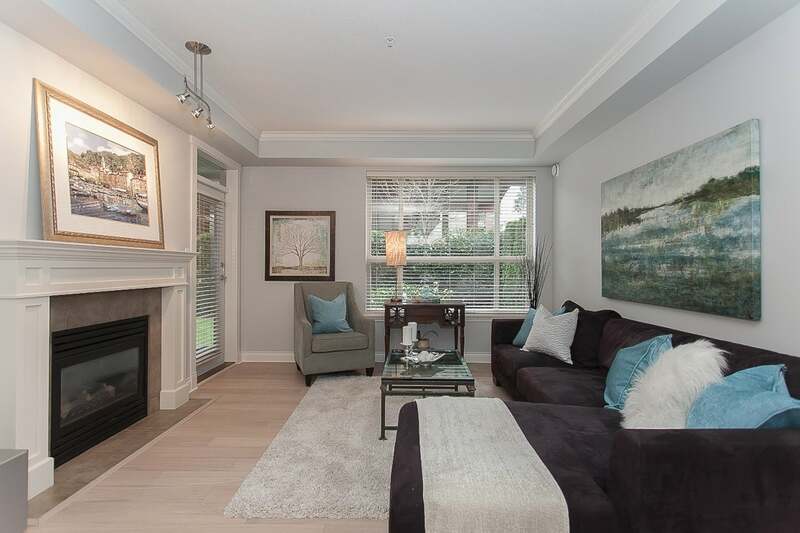 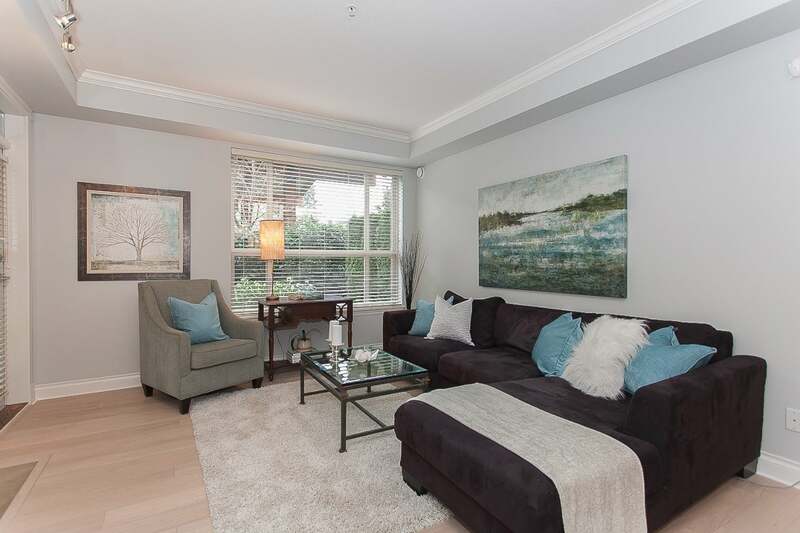 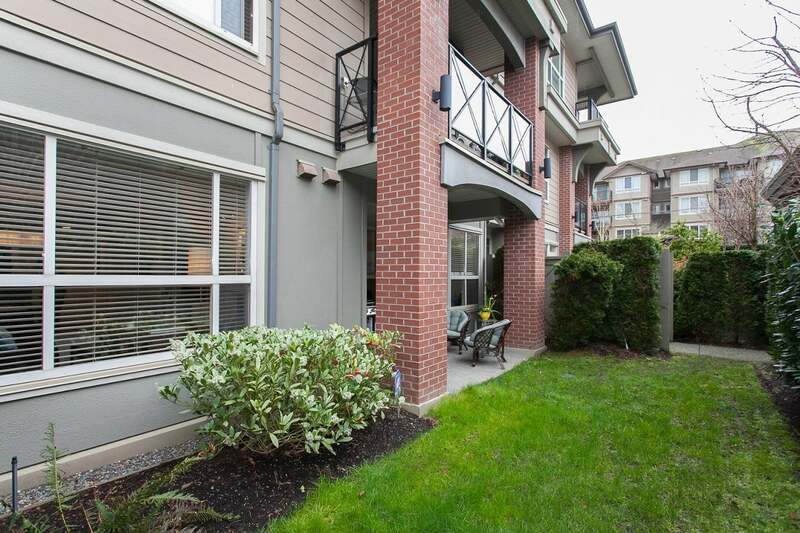 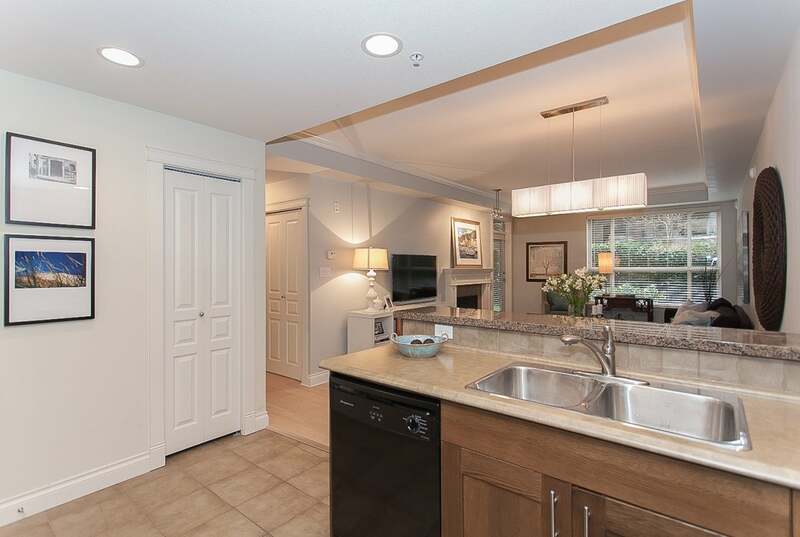 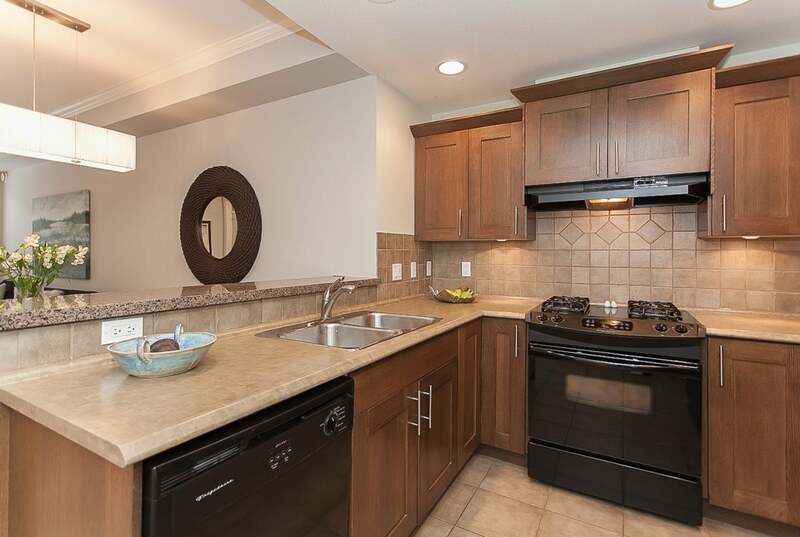 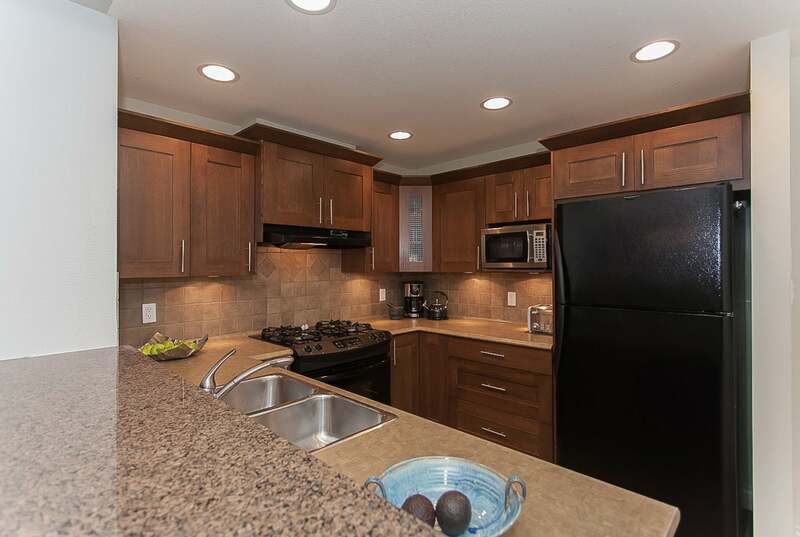 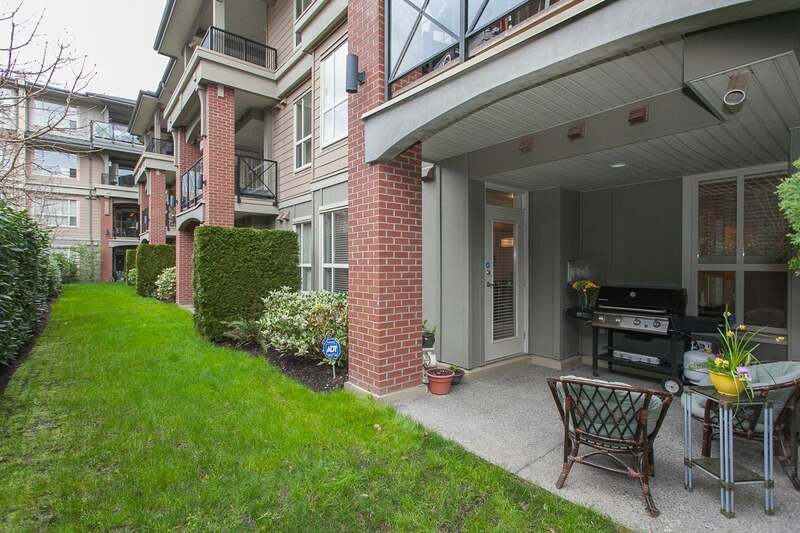 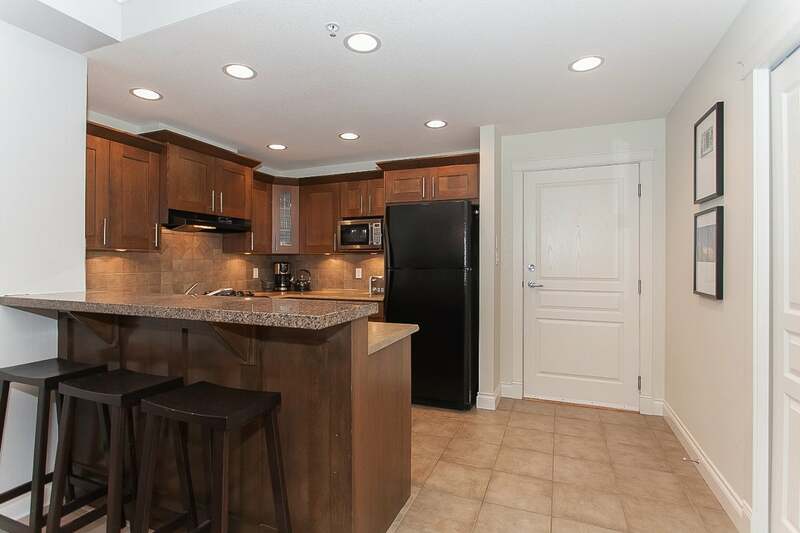 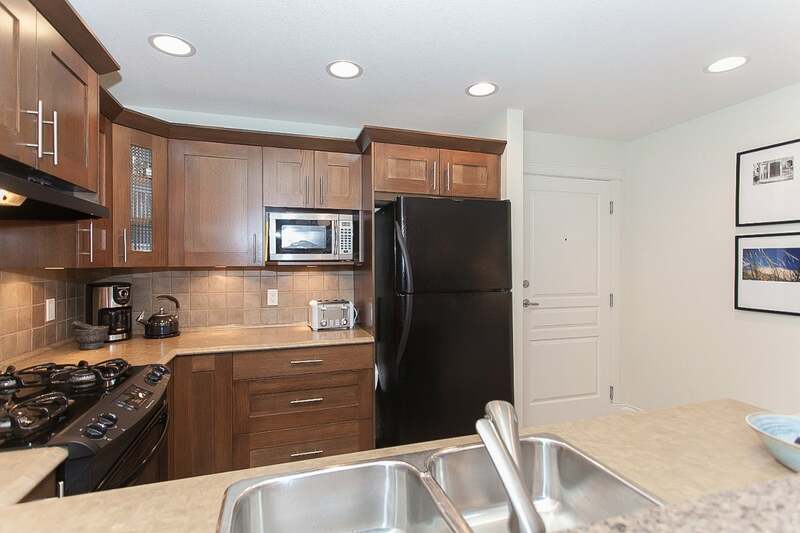 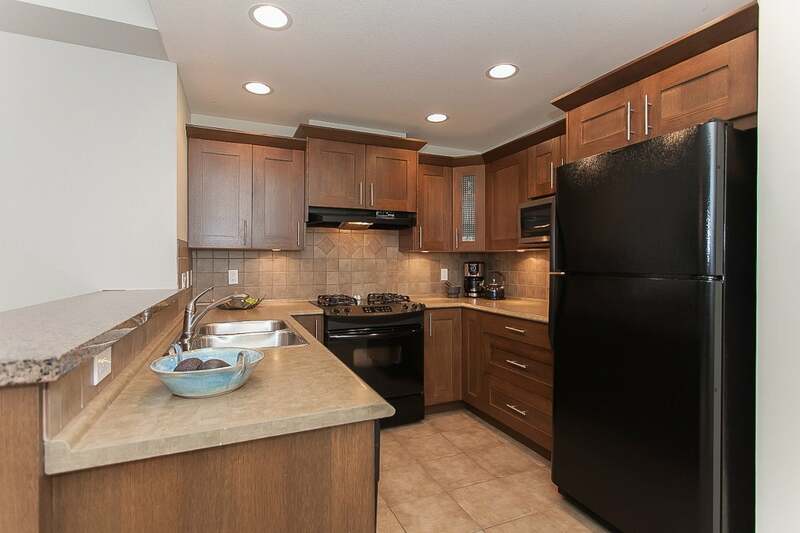 Try finding a condo of this size, 892 sq ft, with the quality of finishing you get in a Genex built property, in South Surrey/White Rock... for under $300,000. 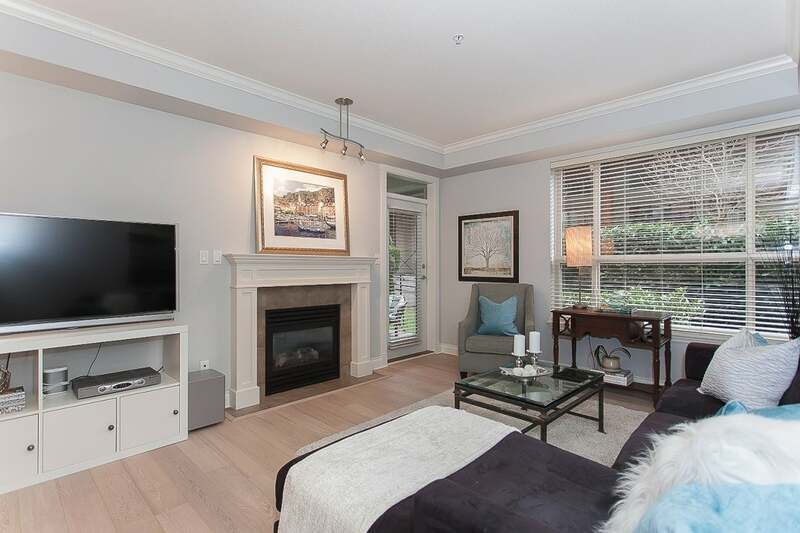 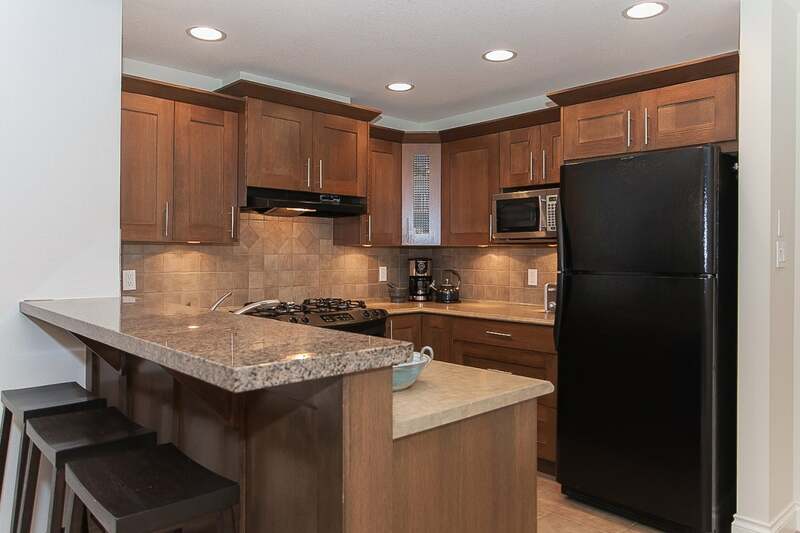 Luxury finishings include updated engineered hardwood flooring, 9' ceilings, crown moldings, designer paint colours, gas fireplace, and a spa like bathroom. 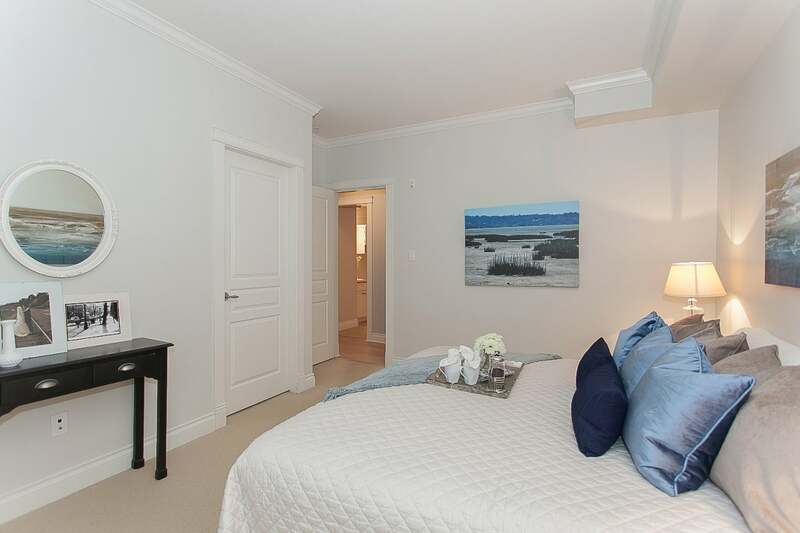 The master bedroom is oversize and looks onto the greenspace and garden area. 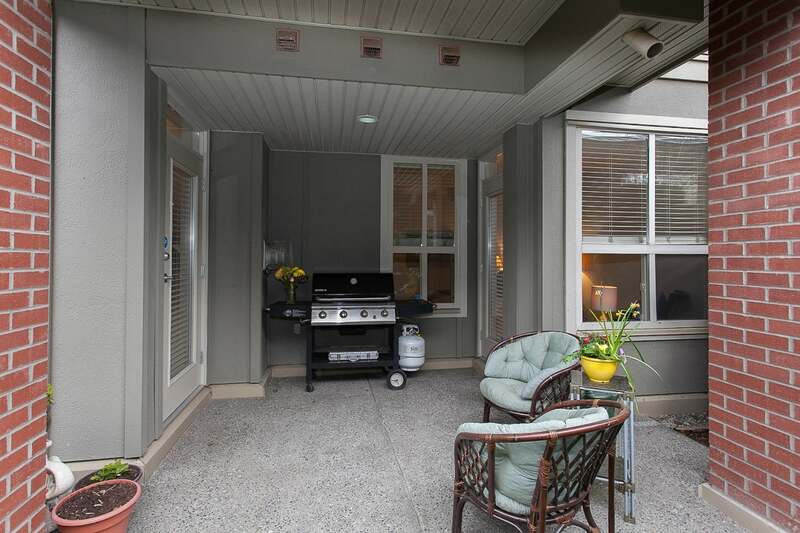 Even your pets are welcome. 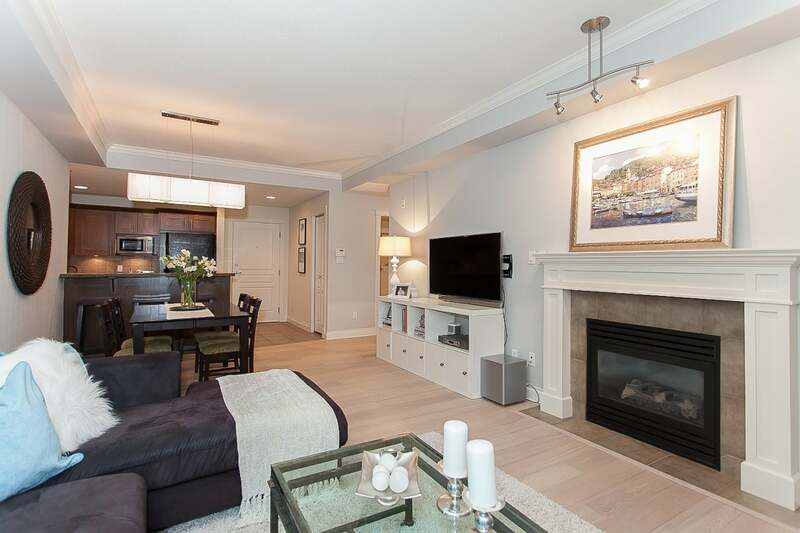 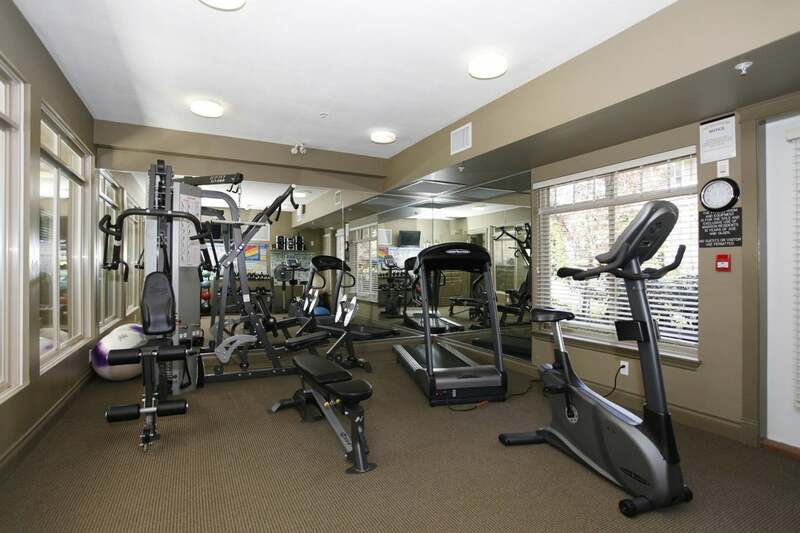 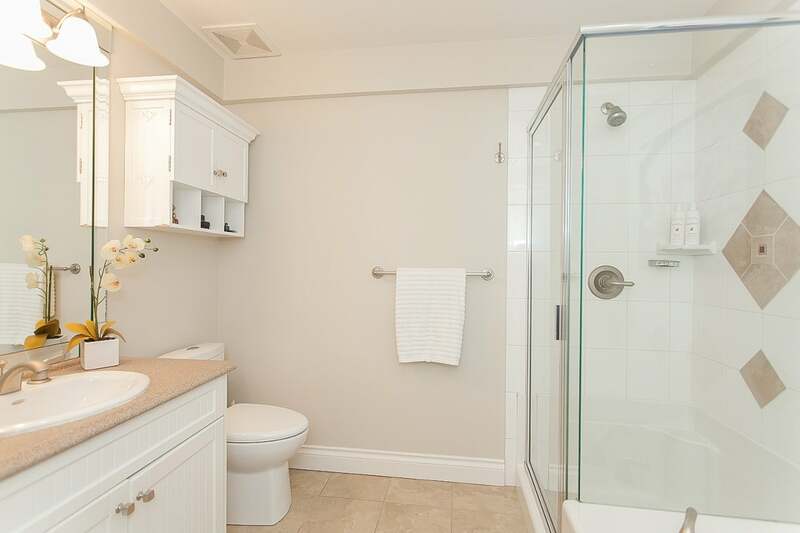 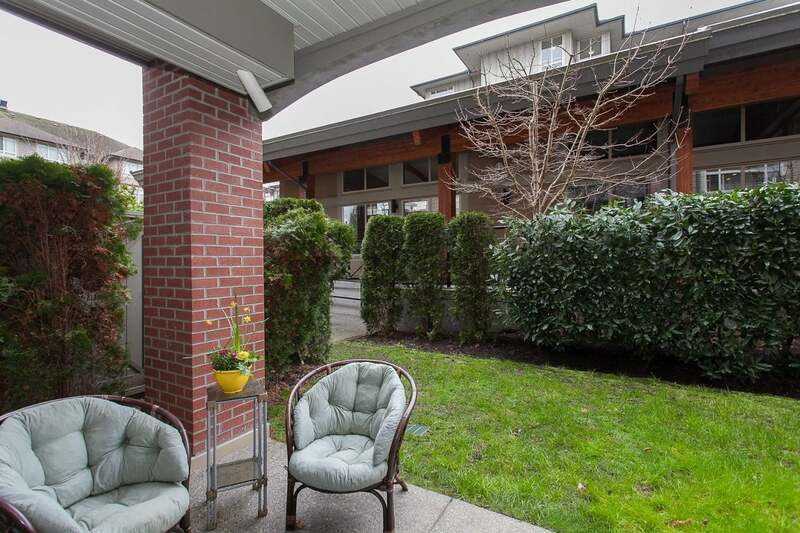 This condo is well situated in the building for privacy, within walking distance of the local malls, and mere blocks from the famed White Rock Pier.